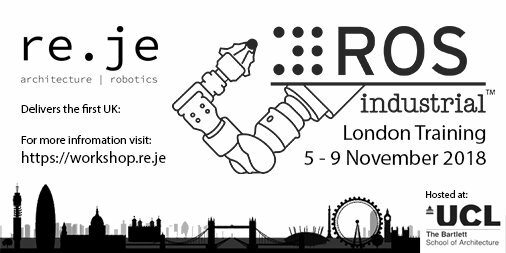 The first London edition of the ROS-Industrial training will be hosted by re.je. Please visit workshop.re.je for more information. More details about the curriculum can be found in the agenda. This workshop will be supported by tutors from Fraunhofer IPA as part of the ROSIN initiative. The instructor of this sessions received training under the ROSIN project, funded under the H2020 work program contract no. 732287 .